So begins the story of serendipity and listening with an ear to solve problems — not just sell things — that evolved into an end-to-end relationship between Dell and HealthSpot the Consumer Electronics Association’s Small Business of the Year 2014, soon to be seen in Rite Aid stores. As the two caught up on the years since they’d last seen each other, Shaff listened to the goals of HealthSpot and heard the potential. “I love solving problems using technology,” HealthSpot Founder and CEO Steve Cashman told a group of Dell employees (including Dell CMO Karen Quintos and VP/GM Dell OEM Solutions Joyce Mullen, pictured right) gathered at our headquarters earlier this year to learn more about the company. It was a trip to an urgent care facility when his daughter had swimmer’s ear that first got him wondering how to create the highest-quality, lowest-cost healthcare. That’s the work of Dell OEM Solutions, our team that takes a holistic approach to designing, developing and delivering Dell-powered technologies that accelerate customers’ time to market with their own intellectual property. For HealthSpot, that solution encompasses hardware, software and even sourcing third-party electronics for their kiosks. The problem HealthSpot wants to solve is access to healthcare. “One billion people around the world don’t have that access, and while many may walk up to two days to reach a healthcare professional in Africa, even in a developed country like the United States, Americans with insurance will have to wait an average of six days to get an appointment with their doctor,” noted Lisa Maughan, vice president of marketing at HealthSpot. 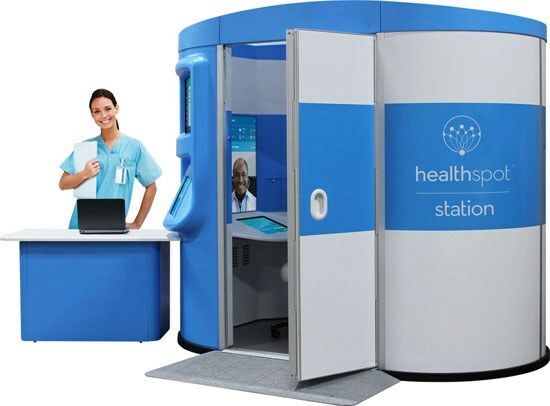 Cashman envisions HealthSpot’s private, walk-in kiosks as an extension for healthcare providers, rather than competition. “Many doctors spend their own time each year on mission trips to provide care for those in need, but imagine if they could see those same people year-round without ever having to leave home?” he asked. As the relationship with Dell grew, and more of our members became involved, they each caught Cashman’s excitement for that sort of opportunity and became a part of the HealthSpot vision. Everyone at Dell gets excited by that opportunity to help our customers do more of what they want to do, even if they aren’t a direct part of the OEM Solutions team. 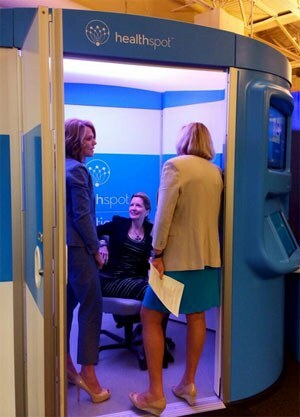 “I felt really responsible for making a customer happy,” HealthSpot’s original Dell contact Shaff said. “I knew this might be the next technology to really impact the world, and even more so, as it was clear that healthcare was about to change in a huge way.